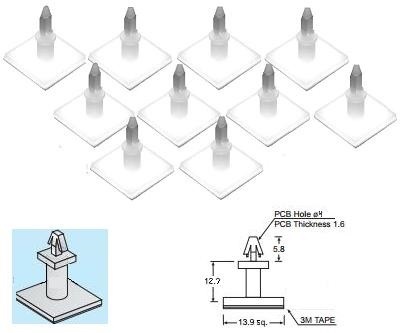 Pack of 10 Self Adhesive PCB Pillars in Nylon. 12.7mm length with 3M tape on base and snap-lock PCB fitting. For mounting PCBs without drilling.